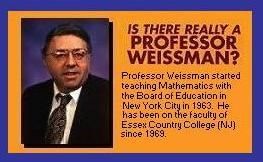 Professor Weissman's Math 911 is math practice done on the computer (but you do not have to be online.) The Introductory Algebra is currently free on his website! The registration process was a bit confusing, but after the initial setup was done my daughter worked on this program on my computer. Though sold on a flash drive for $49.95, we received a download so some of our setup difficulties will not apply to typical users. My 9th grader is taking beginning algebra this year, so the beginning of the Math 911 algebra program was a good starting point for her. The program is fairly straight forward. A problem is given to the student. When they type the correct answer a green check accompanies the word right. When incorrect, a beep accompanied the correct answer. Wrong answers aren't counted against her; instead another problem is offered for her to master that section. Another button would show solution or show the next step. This green button is where the largest instruction was provided in the program, even changing from plain numbers into the addition of a purposeful component such as pounds. Without incorporating that component, the program would just be a review of lessons taught elsewhere. Another button on the right "next problem" repeats the sequence again. Each time that the score adds up to 100, the student moves up to the next level in the program. Even after moving up, the student can still go back and practice the previous sections. What she liked about it- more interesting practice than just working on paper. What she disliked- that each problem wasn't taught. When the green button was clicked, the solution was provided but not explained. For us, I see this as a beneficial review for my beginning algebra student. As an additional resource to our primary math program, this can help her practice new skills. I also envision her being able to find a similar problem on this program and click through the green buttons to see if a different strategy is shown for a problem she may have difficulties with in the future. As we received a lifetime membership, I feel sure we will use this program again. Each of my children approach math a little differently, so this could end up being a good match for one of my younger two. Disclaimer: As a member of the TOS Crew, I received this product, at no cost to me, in exchange for my honest review. All opinions are mine. See what other Schoolhouse Review Crew members shared in their reviews here. Be sure to look around his website for his special offer to homeschoolers.